Can it be made to any size or shape? Can it be used to comply with building regulation document N low level glazing? Can it be used to comply with current building regulations for energy efficiency? Can Pilkington Spacia be putty glazed? Can you see the spacer bar? How do you stop the two panes of glass touching each other? How does the performance of the product compare with other Pilkington low-e products? How long does it take from placing and order to delivery? Is there an obscure version? Our revolutionary Pilkington Spacia™ vacuum glazing technology provides unrivalled thermal performance in an ultra-thin unit that fits seamlessly into listed and conservation properties. This innovative unit allows the character of the property to be retained as it can be used with the original frames. It can also be used as secondary glazing and where aesthetics are important in a new or modern property. Pilkington Spacia™ consists of an outer pane of low-emissivity glass and an inner pane of clear float glass, with a vacuum rather than air or gas between the two panes of glass. The result is excellent thermal performance from a unit only fractionally as thick as a standard doubled glazed unit. Below are some images of recent projects at Repton school, Derbyshire (Courtesy of Gowercroft Joinery) and St Gerard's School, Ireland (Courtesy of Energlaze). Award winning timber windows and doors of exceptional quality. We are a premium quality, full service, UK manufacturer of joinery products with extended guarantees. Designing, manufacturing and installing windows, doors, garden rooms and internal fittings for new build, renovation and heritage projects. Our Heritage window and door ranges featuring Pilkington Spacia™ glass have won and been shortlisted for a number of national awards, as well as being installed in significant listed buildings across the country. Installation Service Offered: Full windows and doors featuring Pilkington Spacia™ glass. Glass and glazing is provided on a supply only basis. Services: ENERGLAZE UK Ltd specialise in retrofitting energy-efficient glazing products into existing window frames. To date we have retrofitted over 5000 homes with Pilkington products. We are the current agents for Pilkington Spacia™ and specialise in retrofitting this ultra-thin double-glazing into existing timber sash windows. ENERGLAZE specialise in retrofitting energy-efficient glazing products into existing window frames. To date we have retrofitted over 5000 homes with Pilkington products. We are the current agents in Ireland both North and South for Pilkington Spacia™ and have successfully completed over 300 installations into existing timber sash windows. Installation Area covered: Republic of Ireland and Northern Ireland. Supply available: We offer a supply only and supply and install service throughout the island of Ireland. Established in 1995; Glass Services has been grown to become one of the largest independent processors and distributers of flat glass products in the south east of England. We work closely with the joinery and restoration trades to supply high quality glass products and are proud to offer Pilkington Spacia™ as an industry leading solution to thermal performance in heritage glazing. Yes, please see the Literature tab. Pilkington Spacia™ at 6.5 mm is slimmer than conventional units which means there are more glazing options and opportunities. Yes, samples are available however, since they are rather expensive, we ask for details about your project. The best way to obtain one is to email us via our Contact form. 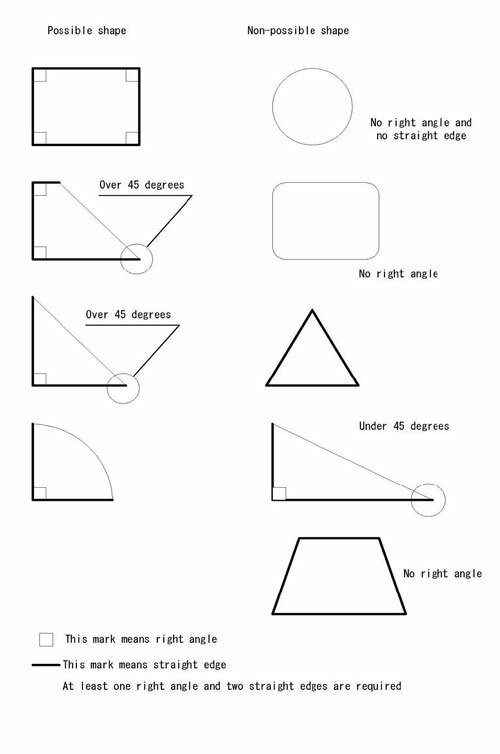 Many shapes can be produced, but to do so two straight edges forming a right angle are required. Please see the examples below. Can it be used to comply with building regulation document N - low level glazing? Pilkington Spacia™ is not an impact-resistant glass classified to BS EN 12600. It can however have a film applied or be modified on site to achieve the required classification. Can it be used to comply with current building regulations concerning energy efficiency? Yes. As part of a SAP calculation for new buildings Pilkington Spacia™, in an appropriate frame, can meet or improve upon the limit window U-value or 2.0 W/m²K. Pilkington Spacia™ can also be used for replacement windows that require a WER (Window Energy Rating) of band C or above or a window U-value of, at worse, 1.6 W/m²K. Certain buildings that are restricted in their glazing options have special consideration for energy efficiency. They can benefit from using Pilkington Spacia™ where traditional glazing is inappropriate and single glazing does not provide the thermal comfort of a modern home. Can Pilkington Spacia™ be putty glazed? Yes. It is compatible with most glazing compounds with the exception of those containing acetic acid. Pilkington Spacia™ vacuum glazing doesn’t use spacer bar technology, and therefore can be easily glazed into steel, wood and secondary glazing window systems, both new or old with the same visual appearance as single glazing. Yes. The standard warranty is 10 years. How do you stop the 2 panes of glass touching each other? There is a grid of micro spacers within the unit keeping the glass surfaces apart. They are 0.5mm diameter and 20mm apart, and when viewed in transmission at a distance of 1-2 meters they become imperceptible. Pilkington Spacia™ is far from a compromise on performance. Just compare the figures in this table, which shows that it is four times more thermally efficient than single glazing. Max size: 2400 mm × 1500 mm. Min size: 335 mm × 120 mm. Pilkington Spacia™ Opaque max size: 1800 mm × 1200 mm. The above table is determined in general accordance with EN 410 and EN 673 with the exception of the U value for Pilkington Spacia™ which has been measured in accordance with EN 674. The standard lead time is 12-14 weeks; a 4-5 week delivery is available via air freight but this does obviously increase the cost considerably. Yes there is a sandblasted version with the obscure facing into the cavity. The maximum size is 1800 x 1200 mm and the obscure version is currently the same price as the clear version. Pilkington Spacia™ uses vacuum technology and the point at which air is removed is covered by a small cap on every unit. The black protection cap is 12mm in diameter and set 50mm in from two edges of the glass and should not be removed. The cap is not intrusive and tends not to be noticed once glazed. Although the cap comes in black as standard, silver is also available on request. What acoustic performance does this product provide?